It's amazing what Harrison has done to our Christmas already! Because of his endless joy and fascination with all aspects of the celebration he keeps us wide eyed too! Harrison has helped us remember the amazement of the simple and the excitement of the routine. 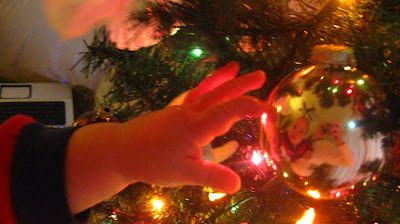 Have you forgotten the fantastic allure of a simple ball ornament? 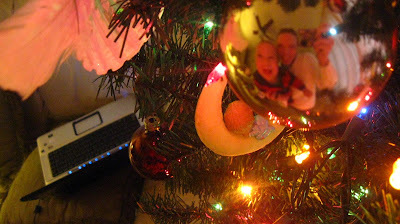 How about the magic of a dark room lit only by the lights of the Christmas tree? Have you forgotten the smiles and laughter a loud rendition of "The 12 Days of Christmas" always seems to render? Do you remember the simple joy and giddiness of just seeing the house decorated to celebrate Christ's birth? Because of our little guy, this year has already been a lot different. We are already remembering things we forgot-and I have a feeling it's only going to get better!